I began this blog about a month ago and it wasn’t the right time to share the information yet. After reading an email from Pastor Olistin yesterday I opened up my blog to begin a new urgent request for the orphans to have food and water provided. Pastor Olistin told us in the email that the children are crying because they had no food or water for a day. We have sent the money we have received but it just isn’t enough to cover all the children there. Please read my blog understanding it is from March, but today we still need your donations for both the building fund, the bunk bed fund as well as monthly sponsors. If you want to sponsor a child it’s just $35 a month and it will help provide food and water for the orphans we support. You can contact me by email swaygrl@gmail.com to find out more. This weekend we got to go to the Steven Curtis Chapman concert. It was held at our church and was an awesome concert and time of worship. During the concert Steven talked about his non-profit Show Hope. I wanted to give towards his organization because it is so much like our own. They are helping orphans, the difference is his organization is huge, and they give grants to help people adopt children from China. I even wanted to consider adopting an orphan from China. They are so passionate about their missions, so I couldn’t help but catch the fire. But God helped me remember I have my own passion, & my own mission. You see I am a big part of Help 4 Haiti, Inc. It is a non-profit organization started by my father Louis Chalmers after going to Haiti in 2010 after the earthquake there. Our mission is to partner with a church in Haiti called New Covenant Misson Baptist Church in Croix Des Bouquet to feed, clothe, provide health care, housing and education to the 175 orphans that Pastor Olistin has taken on since the time of the earthquake. Believe me when I say I wish I could give to all the organizations that are doing good all over the world, but I know that I have to choose one, and Help 4 Haiti is the one I’ve chosen not only to give money to, but also pour my life into. I have been to Haiti twice now and after going I can’t help but remember my friends there and the help that they need to continue to provide for the orphans. I have seen the living breathing children with my own eyes and my heart aches to do more. I can’t do it on my own. I don’t make enough money to sponsor 10 orphans like I’d like to, or even begin to make enough to fund that entire orphanage. If God chose to bless me with that kind of income you can believe I surely would give it all to this cause. 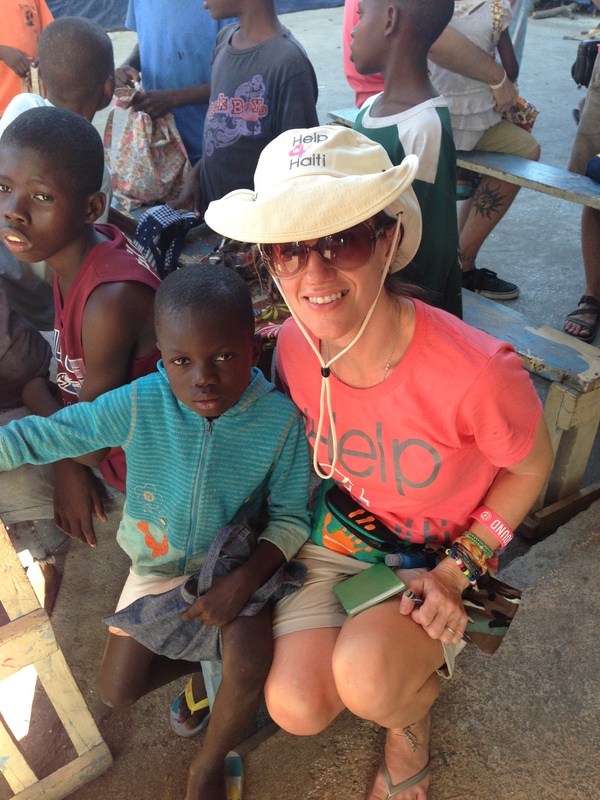 I have committed to helping sponsor one orphan in Haiti. His name is Youcanlove. I send my $35 a month in through the paypal button on the website with a prayer that he and all the orphans will have food enough and shelter. Our team recently found out that there is a new deadline to remove the children we sponsor from their current home. We have known about this problem for over a year and have been trying to raise the funds to build the new orphanage in Onaville for them. 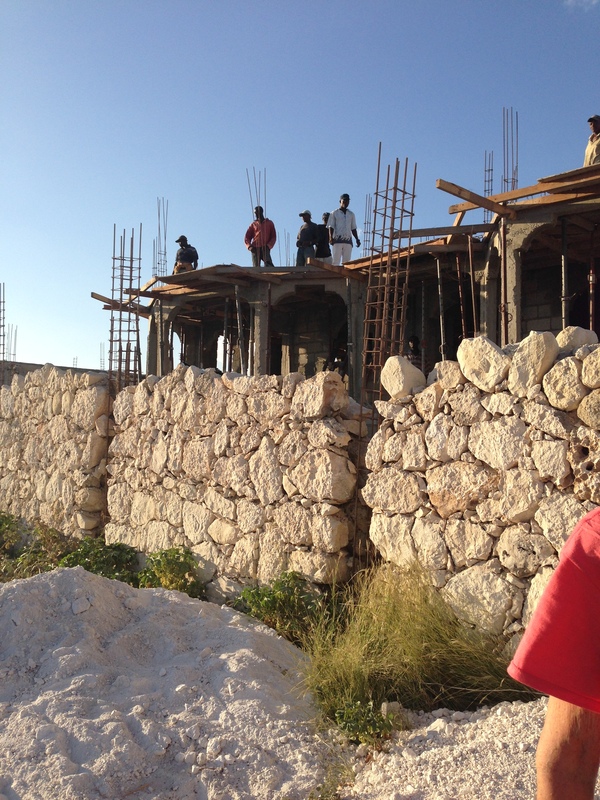 As of our last trip this past December, we are half way through building the orphanage. But that is not enough to have them a home in 3 months. We desperately need a miracle. This is my attempt to get you to join me in helping to raise the funds to complete the orphanage. Not so we can be successful, or look good, but so that the children will have a home to live in. From what I understand the owners of the place where the children now live have taken the matter to the courts. There is no more stalling, or holding off, this deadline is real. I don’t know what else to do but ask for your help. I have a great community of friends online through twitter, facebook, and instagram… What if everyone of you that I’m connected to just gave $5 towards the building fund. I did the math and if everyone of my twitter followers would give $5 that would be over $25,000 towards helping us complete the orphanage and that doesn’t include my friends on facebook and instagram. How do I get you to give? How can I make this plea real for you? What does it take for you to click donate today to help me help those orphans? I can share photos and stories from our last trip. I can beg. I can plead, but truly it is up to you. I have built an online community of friends for over the past 4 years. Some of you I don’t even know, some of you I interact with daily. Won’t any of you consider helping? I am going to begin a fast for Lent to pray and commit to asking God to multiply the funds coming in to build the orphanage. I’m not sure what I will give up yet as being pregnant makes it kind of hard to consider giving up any food but I am going to give up something and each time I want that something I’m going to pray for the orphanage building fund to be blessed, for our miracle to happen. With a new baby on the way I have decided that I won’t be able to return to Haiti this year. As much as I’d like to go back, I know being a new mom is going to be plenty to deal with. My plan is to do everything from here to support the ministry that I can. The biggest thing I can do to help is to get you to give. Please join me in the next couple of weeks. Pray about how much you can give towards helping the orphanage be completed. I dream of seeing it completed by Easter. I dream of watching our team return to finish what we began last December and seeing those children move into the new home we have started. I need your help to make those dreams come true. I need your dollars, your contributions, & your funds to help us reach this goal. Friends we need you to help us make this dream a reality. Our organization is small, but with a community like the one I have online it can grow. I have the potential of reaching over 5,ooo people with one tweet. Let’s see if there really is power in social media. If you are reading this because of a tweet or a facebook post THANK YOU! Open up your heart and your pocket book today and give. I’m not asking you to give the whole amount. I’m asking for just $5 from every person I’m connected with. Won’t you be the first one to give today? 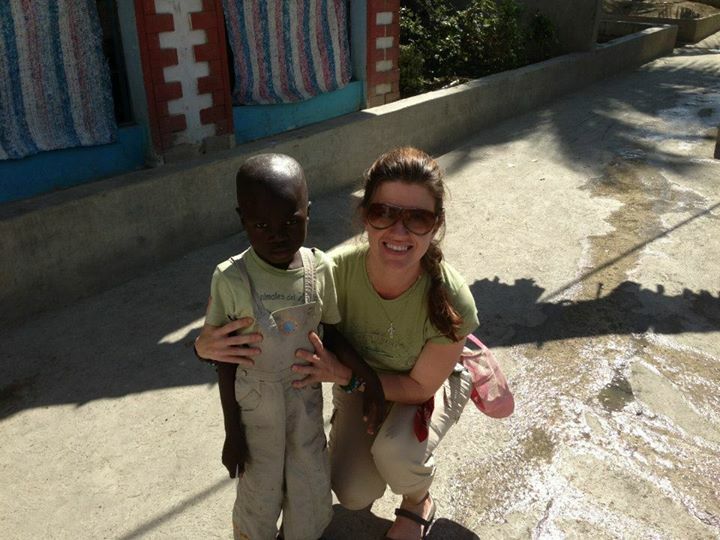 My heart has forever been changed because of the orphans I have met and fallen in love with in Haiti. I will never look at money the same way again. When I eat a meal I remember them. When I lay down in my comfortable bed, I remember them and pray that they are comfortable and have food enough to eat. Please help us help them. Please consider joining in making miracles happen. Just go to www.help4haiti.org and click on the donate button. Give your $5 and specify building fund in the comments. I’m excited to see how much is given and just how fast. My hashtag for this giving campaign is #help4haiti5 I’m going to attach it to every tweet and every facebook post. So if you want to join in and share please attach this hashtag along with @haitiorphanhelp to help me keep up with how we are doing. Rally with me and let’s make dreams come true! Thank you and God Bless you for reading and considering giving today! Bondye beni ou!